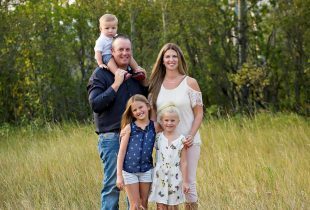 Natalie Rowe and Gordon Campbell didn’t have an average farm. Along with the usual legumes and vegetables on their 86 acres (34.8 ha) in eastern Ontario, they had a crop of displaced pets and farm animals. Known at the local humane society for their remarkable compassion, the couple wanted to do something for wildlife too. They wanted to create grassland habitat. Soybeans and corn made up the farm’s south-facing view. It was lovely, but Natalie and Gordon could see a future where the scene was a rural haven for birds, insect pollinators, dragonflies and other wild species. 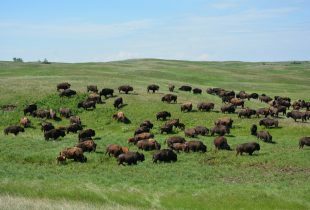 They decided to restore a 22-acre parcel (8.8 hectares) of cropland to native grassland. The couple needed help to create viable grassland habitat. They found both financial and ecological support in a program administered under Ontario’s Endangered Species Act. Under the terms of an overall benefit permit, large-scale developers are sometimes required to create grasslands to compensate for lost bird habitat. Natalie and Gordon entered into a long-term offset agreement with Algonquin Power & Utilities Corp. in Cornwall, Ontario, facilitated by DUC. The utility agreed to finance the habitat conversion and the farm owners agreed to leave the new habitat intact for as long as they own the land. DUC created the habitat. 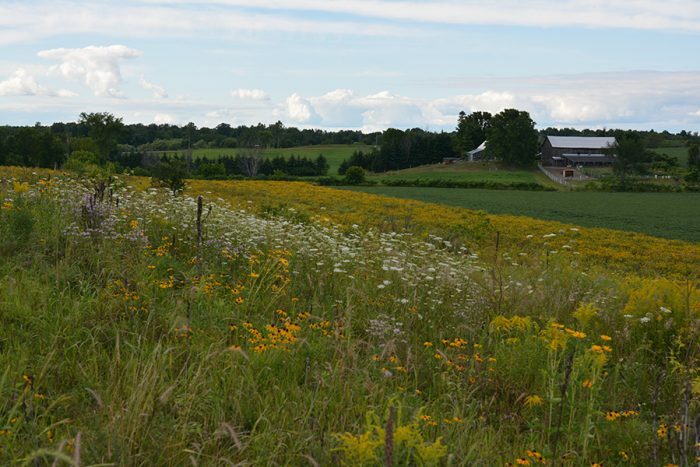 Mike Williams, who heads up DUC’s Restoration and Client Services, joined the couple at their farm to make a plan using ecologically sound methods to transform cropland into managed bird habitat suitable for the bobolink, recognized as a species at risk in Ontario. Natalie and Gordon had input into the selection of about 30 seed species, mostly grasses and wildflowers, and requested forbs beneficial to their small apiary – forbs are herbaceous broadleaf plants that produce flowers attractive to bees. The change began with the appearance of meadowlarks and other birds, quickly followed by a riot of grassland wildlife. 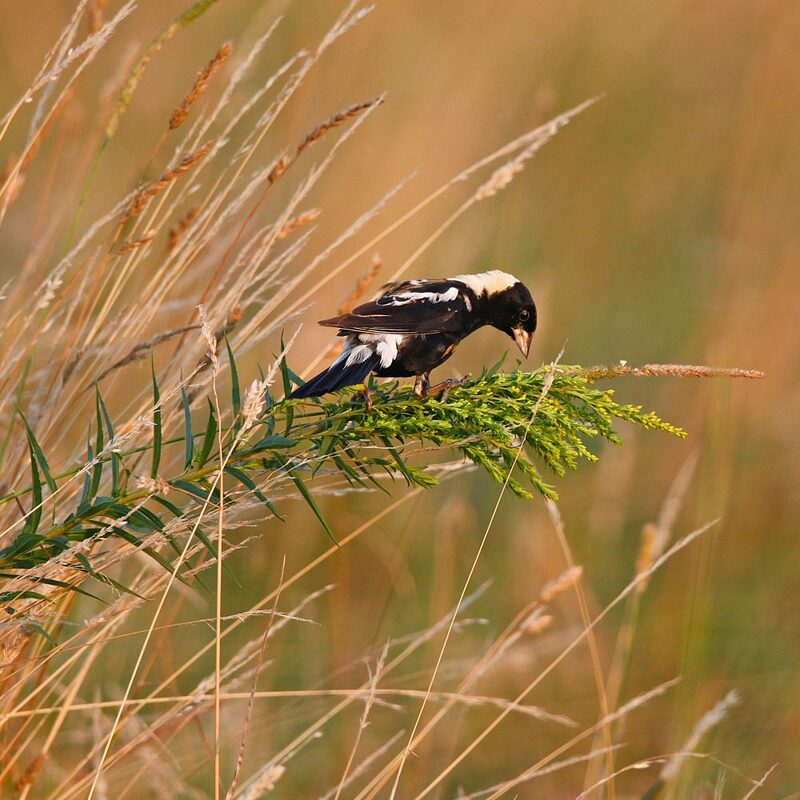 Just three years after they were planted, the carefully selected native grasses began to dominate and for the first time, a bobolink call was heard during a 2016 summer bird survey. Learn how DUC's landowner programs can help enhance your property.